A young Roman by the name of Calidorus has a problem. He is in love with Phœnicium, a girl who belongs to a Madame named Ballio, but a bargain has been made to sell her to an old and ugly Macedonian soldier. Calidorus will do anything to stop this, so it falls to Pseudolus, the clever slave, to help her master save Phœnicium from this Macedonian nightmare and win her freedom or she will lose her head. The stakes are high, and it is clear that Pseudolus does not entirely have a clear plan. 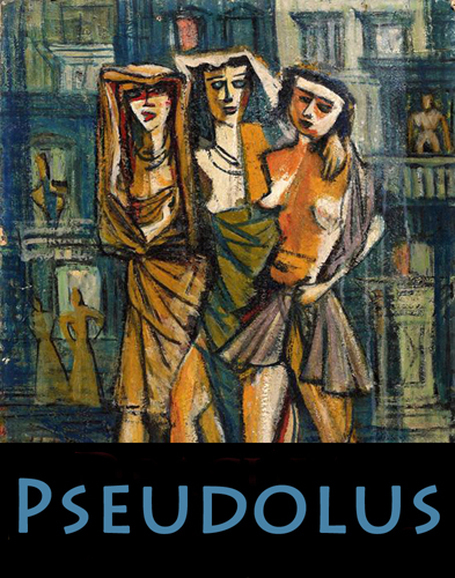 Can Pseudolus improvise her way out of this awful mess and save the day for a happy ending?